I often check in at Litter to see what those ladies are up to. Sisters Rachael and Mackenzie make wild jewelry pieces for your head, your shoulders, your thighs and your shoes. 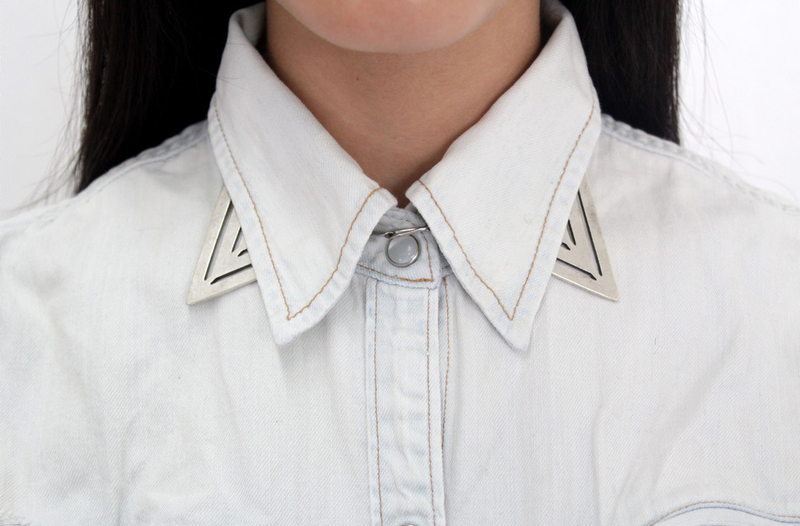 While some of their pieces can be harder to pull off, I absolutely love this metal collar. It's such a nice twist on all the collar tips and collar necklaces we've been seeing this past year. Also intrigued by this beautiful shoulder piece, though honestly I don't quite understand the engineering behind how it stays on. This metal collar is great !